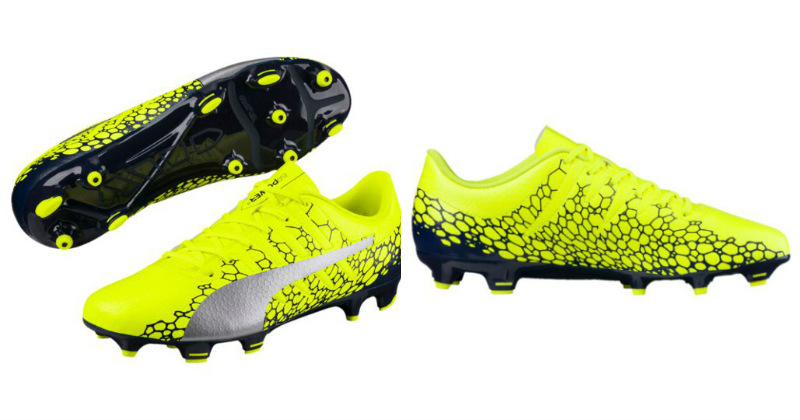 The light that burns twice as bright burns out twice as fast: Puma’s evoPOWER goes out swinging with their last edition of the famous cleats. It’s the end of an era over at Puma. January 2018 sees the release of the all new Netfit which will be replacing the evoPOWER football boot range. 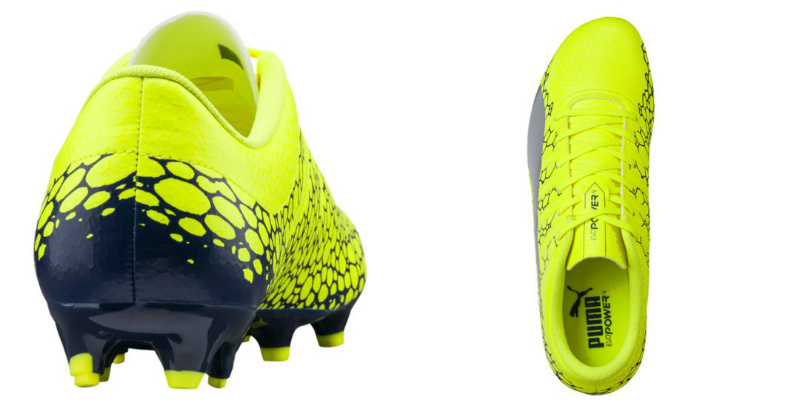 As a last hurrah, Puma have given the evoPOWER a bit of a makeover. The primary colour schemes are to make way for the new stunning and unique colourway, incorporating a safety yellow main, with blue depths and silver Formstripe. The boots will be represented by Puma ambassadors including Frenchman Oliver Giroud, who will be representing for the Premier League: if he gets a game. The new evoPOWER keep their technical shine; the unique upper graphic remains, reminding us to #choosepower. You certainly won’t go missing in the dark with these cleats. When we heard the name ‘safety yellow’, we thought we were going to be in for a traffic warden-inspired boot design; but we have to say, after seeing the boots themselves we are massively impressed. Twinned with the midnight blue sole plate and silver Formstripe we started getting a bit emotional about the fact that this is, essentially, a farewell to the evoPOWER. All the trusted tech remains; the tongue-less construction and spandex sock enhances comfort and gives that much needed barefoot feel. Every type of stud imaginable adorns the underside; metal screw-ins, blades and conical studs are strategically placed to maintain stability on soft ground. An Adap-Lite upper support cage recreates the natural form your foot takes on striking the ball, so you can strike with power; while the new AccuFoam design regulates the uneven surface of the foot with a foam dotted covering, so when you connect with the ball, it goes exactly where you want it. The Puma evoPOWER football boots will be part of history come January 2018 so find the best prices with us at FOOTY.COM and get your pair today.